Explain the award(explanation under about the award). Put award logo in your award post. 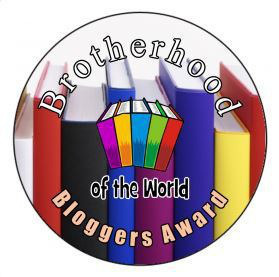 Ask 6 questions to your nominees and comment on their blog to let them know they’ve been nominated. I was nominated by Andrea from The Perks of being Different . I thank her from the bottom of heart for this great award. I’m glad she thinks so much of my blog. What a great compliment this is especially coming from another great blogger. Which Disney or Looney Toons character does your own character relate to? As I thought about this question, I finally decided that I couldn’t think of just one character but my character relates to a combination of characters. I think if we are really honest with ourselves everyone is a combination of characters. Would you like to go back to the 90’s, a time without internet? Actually, I was in college in the 90’s and we had internet at the college. However, I would love to go back to a time without internet. So much simpler. Of course, I’m one of those people who do not own a cell phone only a computer. Do yo like to cook from scratch? (make your own sauces, own dough from bread/pasta etc.) Cook? (laughing), I don’t cook. I think I cooked twice real meals but otherwise I like making popcorn the best. What would you do on a first date? I think I would learn as much as I could about my the guy I’m thinking about dating. Whats’ your favorite way of transportation? Hands Down A Car. If I did not nominate you it’s not because I don’t think you deserve this award but because I have so many people I think do deserve this award so if I didn’t nominate you above and you want to do this award/tag feel free to. I just went with the first 15 I could think of. Also, don’t panic if you can’t think of 15 nominees, that’s OK because you only need to nominate 5+ bloggers. I went a little crazy. 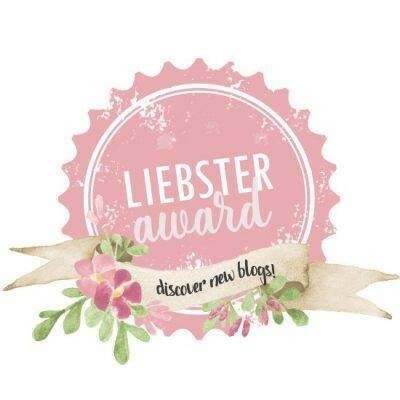 I chose my nominees by the ones that inspire me, The ones that like to have fun, The ones that just blog for enjoyment and The ones I haven’t seen in a while. Thinking backing to your college days, what’s your favorite memory(other than graduation day) and why? What’s your favorite cause that you support and why? What’s your advice to other bloggers and why? What’s your favorite hobby or hobbies you like to participate in? I am just thrilled, honored and privileged that MABEAUTILITY has nominated me for the don’t hate, appreciate Award. 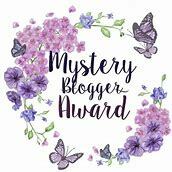 You can check out Mabeautility’s site at MABEAUTILITY and her award post can be found at A WORDPRESS AWARD AND ACCIDENT! MABEAUTILITY has a very nice site so I suggest you do check out this blog. START WITH ONE VERY INSPIRING, POSITIVE YET BEAUTIFUL QUOTE! MENTION THE NAME OF THE CREATOR, WHICH IS THE PERSON WHO NOMINATED YOU. I REPEAT THE PERSON WHO HAS NOMINATED YOU. AND SO IN THIS WAY, EVERYONE WILL BE A CREATOR OF THIS BLOG, AT LEAST ONCE! WRITE A SHORT POEM FOR THE PERSON WHO NOMINATED YOU. 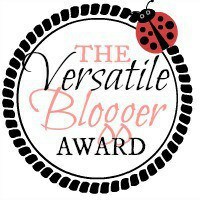 NOMINATE ANY 8 BLOGGERS AND LET THEM KNOW THEY ARE NOMINATED! I would like to start with a positive quote that may get some chuckles too. I’m not really sure who said this quote but I’ve always liked it and it does bring positive vibes. The quote goes something like this: A smile will give you less wrinkles than what a frown will. Below is a quote I found online and would like to share with everyone. I’ll be honest, I had trouble picking from all the positive quotes so I went with these three. I want to thank MABEAUTILITY for nominating me for this award. Next is writing a short poem for the person who nominated me which is MABEAUTILITY. MABEAUTILITY, MABEAUTILITY you are a beautiful orange/red cat with blue eyes who is fun, loving, furry, fluffy, easy to take care of and likes the sunshine. 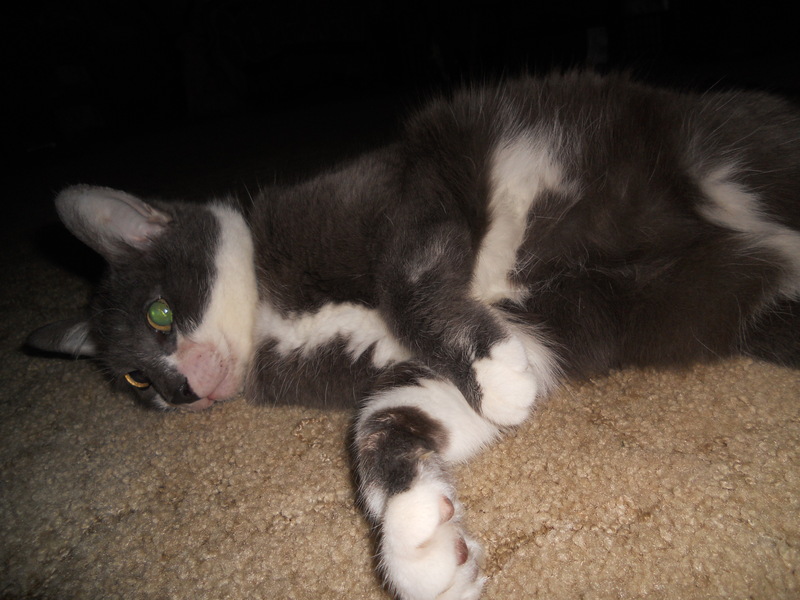 MABEAUTILITY, you like to play and roll around in catnip. You also like to jump up into high places where your owners can’t get you. MABEAUTILITY, You and I met online and became fellow bloggers. We’ve become what I call blogger friends. MABEAUTILITY, I hope you have a rainbow of sun puddles to warm your fur and lay in. May the sun always shine for you my blogger friend. MABEAUTILITY, thank you for nominating me for this award it means a lot. I was in college and one of my professors took the class to hear Maya Angelou speak. After we listened to her speak we had the opportunity to ask questions and meet her. She was quite a lady. I learned a lot from her. I wrote a post called WHAT MEETING MAYA ANGELOU DID FOR ME . I not only got to hear Maya Angelou speak but I got to meet her too. Boy was I excited. I learned lots just by listening to her. One of the main things I learned from her and learned growing up is when someone puts you down smile at them and tell them you hope they have a great day. You will not only surprise them but you’ll find it’ll make your day better too. Also, remember that a good attitude is always better than a poor attitude. What is the most nice thing had said to you in your life? I have had several nice things said to me but the one that stands out is a professor that told me I’d never pass his class. I stayed and stuck his class out and after the semester was over he told me he was glad that I stuck his class out and he was happy for me. I remember this situation for that reason. What has been your most beautiful dream ever? I don’t really dream so I can’t answer this question. What is your biggest goal in life? To make people happy and live a happy, healthy and safe life. Have you ever been in a situation and how was it resolved positively for you? What do you want your legacy to say about you? What are your New Year’s Resolutions and Goals? I am very excited and pleased to announce that WELCOME TO CRYSTAL’S SITE(ORIGINALLY COUNTRY LIVING) and CRYSTAL’S PHOTO-BLOGGING SITE have been honored by KittyClysm* by being awarded THE SUPAWSTARS SPOTLIGHT AWARD in recognition of a pawsome job from one pet blogger to another. 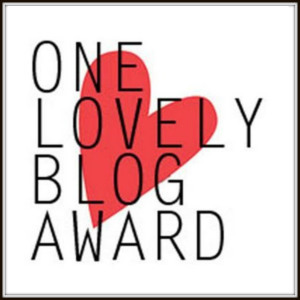 I would like to thank KittyClysm* for nominating me for this award on both of my blogs. It was nice to receive this award from a pet blogger. I really appreciate it. You can check out KittyClysm* by CLICKING HERE . If you would like to check out the award post and see if some of your favorite blogs were awarded this wonderful award, you can do so by going to Supawstars Pet Blogger Spotlight Award! (08/2017) . 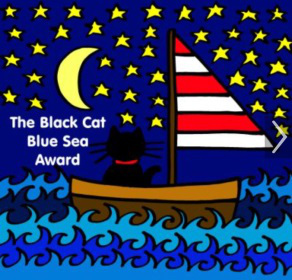 I would like to give this award away to other great animal blogs so I can show my appreciation for their pet blogs and if you get this award, I encourage you to nominate other pet/animal blogs and do the same. I haven’t decided how often I’m going to give it away but I can tell you I’ll probably give it away again sometime. If you have any suggestions for who should get this Award please let me know because I have started a list. Interested in giving the Supawstars Pet Blogger Spotlight award away? Here’s how it works. Here are the instructions for giving the Supawstars Pet Blogger Spotlight Award! The instructions can be found by going to the following link INSTRUCTIONS FOR GIVING THE SUPAWSTARS AWARD AWAY . The Instructions can also be found at GIVING THE SUPAWSTARS SPOTLIGHT AWARD . Animals Are Feeling Beings Too – I think this blog should get the spotlight because it not only gives pet tips but puts up other good posts too. 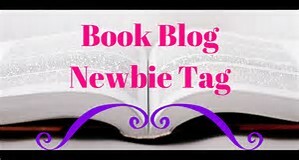 Books,dogs and cats – Even though this blog deals with books it also deals with dogs and cats and that is why I’m spotlighting this blog. Cats and Life – This is a cat blog and has a lot of good qualities for a pet blog and that is why I’m spotlighting this blog. RoseyToesSews – This blog is mostly about 8 kitties but the reason I’m spotlighting this blog is because of the tips. 15 And Meowing.com – I chose this pet blog because it deals with tips for pet owners, blogs about pets and about their favorite charities and rescues. This blog is also a blog hop so they also help out other bloggers.